Gary Braver is the bestselling and award-winning author of eight critically acclaimed mysteries and thrillers including Elixir, Gray Matter and Flashback, which is the only thriller to have won a prestigious Massachusetts Book Award. His latest is Tunnel Vision. His novels have been translated into several languages, and three have been optioned for movies, including Elixir by director Ridley Scott. He is the only writer to have three books listed on the top-10 highest customer-rated thrillers on Amazon.com at the same time. 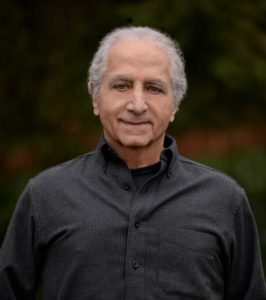 Under his own name, Gary Goshgarian, he is an award-winning professor of English at Northeastern University where he teaches courses in Modern Bestsellers, Science Fiction, Horror Fiction, and Fiction Writing. He has taught fiction-writing workshops throughout the U. S. and Europe. He is also the author of five college writing textbooks and has written short stories, book reviews, and travel articles for The New York Times, The Boston Globe, The Christian Science Monitor and elsewhere. He was born and raised in Hartford, CT and holds a BS degree in physics and an MA and PhD in English. Before settling into college teaching, he worked as a project physicist. An avid bicyclist, hiker, and scuba diver, he lives with his wife outside of Boston. “How to Write a Successful Thriller” from Writer Magazine. I was born and raised in Hartford, CT and educated in its public schools. I received a B.S. in physics from Worcester Polytechnic Institute, an M.A. in English from the University of Connecticut, and a Ph.D. in English from the University of Wisconsin. Before settling in a teaching position at Northeastern University, I worked as a soda jerk, newspaper reporter, tech writer, foundry laborer, and project physicist, which taught me that lab work wasn’t for me but teaching and writing were. After a year of teaching at Western Michigan University, I took a position at Northeastern in Boston where I still teach. Originally hired to teach linguistics, a subject which was turning my blood into ink, I introduced a course in Science Fiction which I had read by the pound as a kid. With the success of that, I then introduced two other popular- culture courses—Horror Fiction and Modern Bestsellers as well as Fiction Writing. They’re all still going strong after 25 years. That was followed by another archaeological thriller, The Stone Circle, which got good reviews. Two years later I wrote Rough Beast, a biomedical thriller which defined my future novels. Because of its reception, the publisher asked that I do more of the same—high concept bio-medical thrillers centered on the family. That led to Elixir, which got optioned for a movie by director Ridley Scott. Because of that option and the publisher’s perception that the book was going to take off, I was asked to adopt a pen name to fool the bookstore chains which base their prepublication purchases on the sales figures of an author’s previous title. Because my publisher (Tor/Forge, Macmillan) wanted to print up ten times the hardback copies of Rough Beast, they didn’t want bookstores to under order. Thus, Gary Braver was born. Scott, alas, did not make the movie, even after a second option, but Elixir did well. Since then, I’ve published three more thrillers—Gray Matter and Flashback, winner of the 2006 Massachusetts Honor Book Award, Skin Deep, and Tunnel Vision. I am co-writing my next novel (still untitled) with international bestselling author, Tess Gerritsen.